♦ Enhance the atmosphere of any room quickly with Glade®Candles. Add warmth and welcome, as the candles burn, infusing the air with your favorite Glade® fragrance. 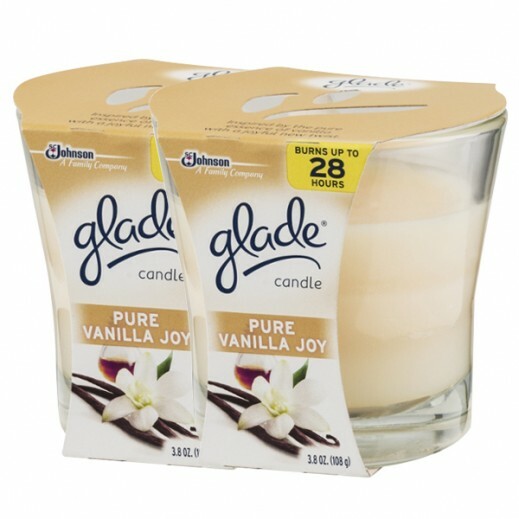 ♦ Bring light, warmth and a beautiful scent into any room with the Glade Vanilla Candle. ♦ The warm light and relaxing fragrance creates an inviting ambience in your home. ♦ The Glade candle infuses the essential oils of vanilla to fill your room with a unique and soothing fragrance. ♦ This Glade candle can burn up to 22 hours.